A modern classic! 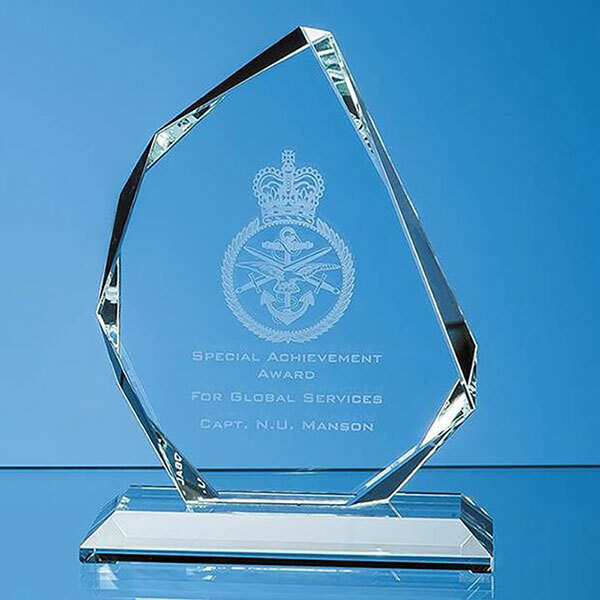 These flat glass plaque awards are crafted in quality 15mm thick clear glass and feature an asymmetric design with facetted edges and a bevelled base. They stand 4.5in (11.5cm) tall and can be customised via engraving. 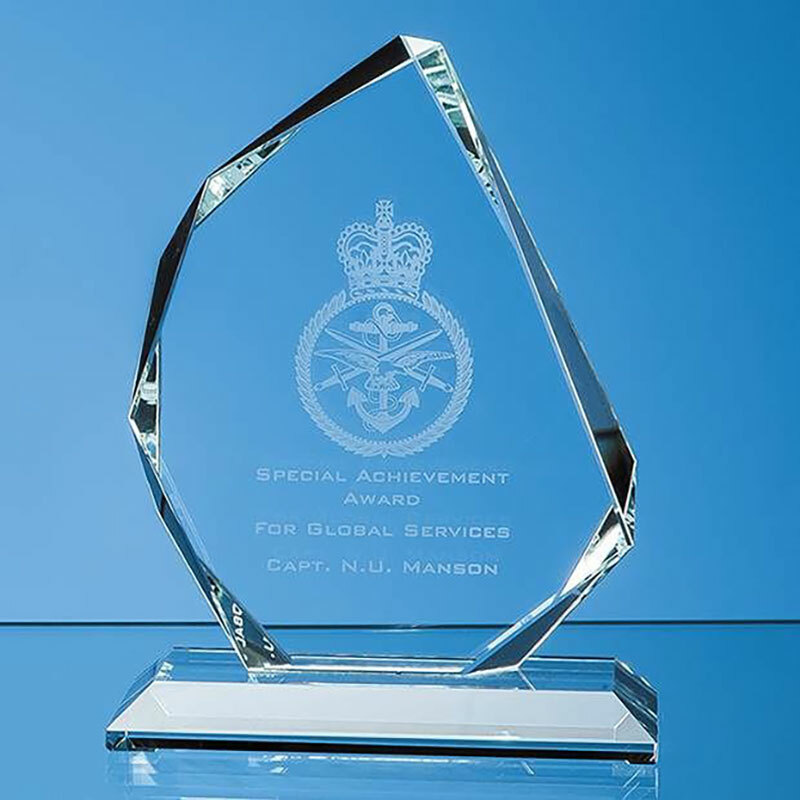 Each 4.5in clear glass facetted summit award is supplied with a presentation box.